Only days into his tenure as Greece's new PM, it is nice to see that George Papandreou is a fan of the olive branch - both literally and figuratively. Upon his arrival in Constantinople for a summit, he made a point to visit the grave of a former Turkish counterpart with whom he worked closely during his time as foreign minister. When his ally passed on, Papandreou asked that an olive tree be planted at the grave, and upon his recent return he plucked a branch from the tree and laid it on the grave of the man who had once shared his vision of improved relations among the two countries. 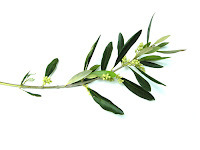 As we sit under our olive tree, we see this as a testament to this fair symbol of peace and of what sincere and honest discourse under olive branches may bring for the greater good.